The folks at Four Hands are fueled by curiosity, creative experimentation and relentlessness. They relentlessly tinker with, tweak and keep poking at a product to come up with surprising additions that speak even louder of the company’s compelling style. Even a single piece of Four Hands furniture has the power to change the entire look and feel of a room, with absolute magic to behold when you outfit the whole room with the stuff. Check it out! In an ordinary world, you wouldn’t think there was much to be said about seemingly mundane objects like a chair or cabinet. 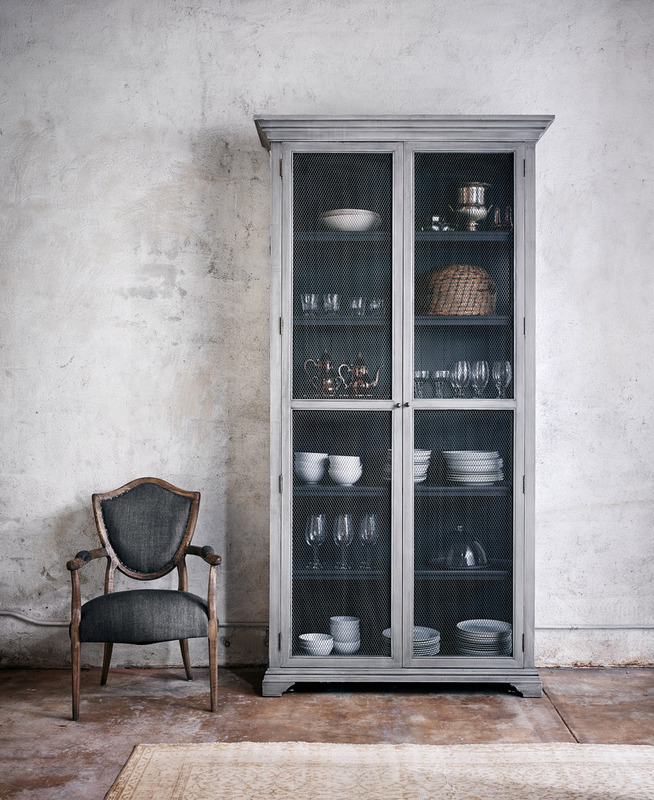 But Four Hands ensures nothing is ordinary, especially when it comes to cabinets. The statement-making Carrington Cabinet measures a generous 53 inches wide by 20 inches deep by a generous 102 inches high. Four Hands has a way of making even sleek, streamlined pieces give off a luxurious feel. 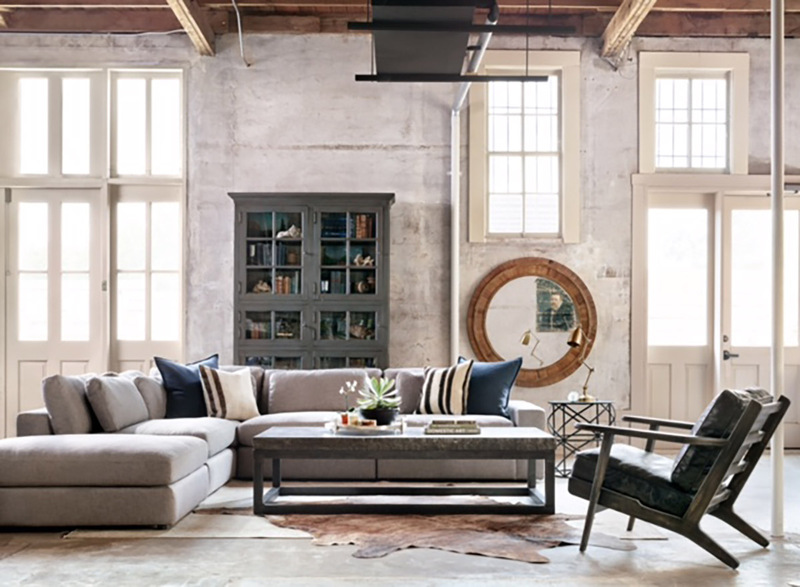 The pewter Bloor Sectional proves this one, stealing the stage with 131 inches of elongated lounging space. Add a Brooks Lounge Chair for good measure, complimented by an artistic end table and chiseled top center table. 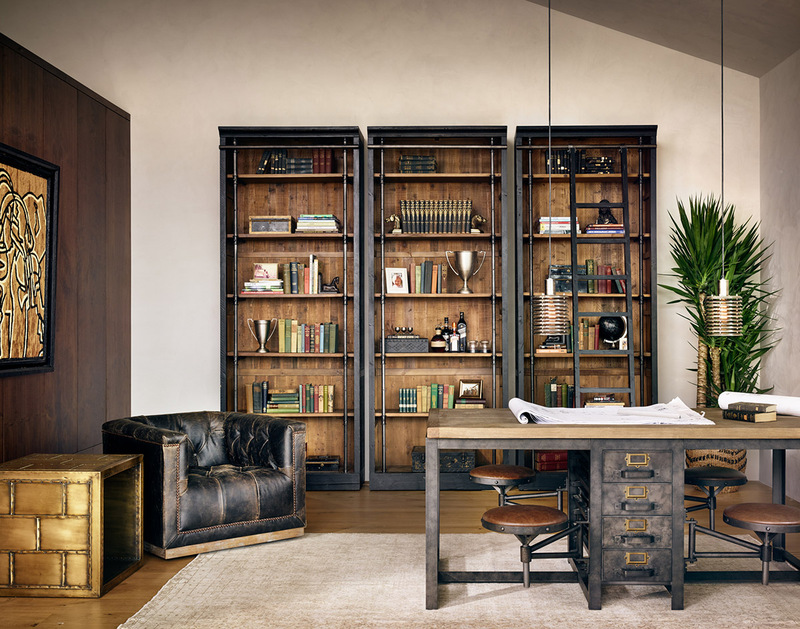 And no loft wall is complete without a 58-inch wide, 92-inch high, 6-Door Bookcase. Rich, lived-in and comfortably sophisticated is what happens to a home office when Four Hands gets a hold of it. Our favorite piece in this ensemble is definitely the destroyed black leather Maxx Swivel Chair. Or maybe it’s the adorable work table. Or the the creative bookcase that comes complete with its own personal ladder. Four Hands makes sure your dining room furnishings are as delectable as the food you’re serving, with a bleached oak dining table, batik indigo Lucille Dining Bench and Stella Dining Chairs. 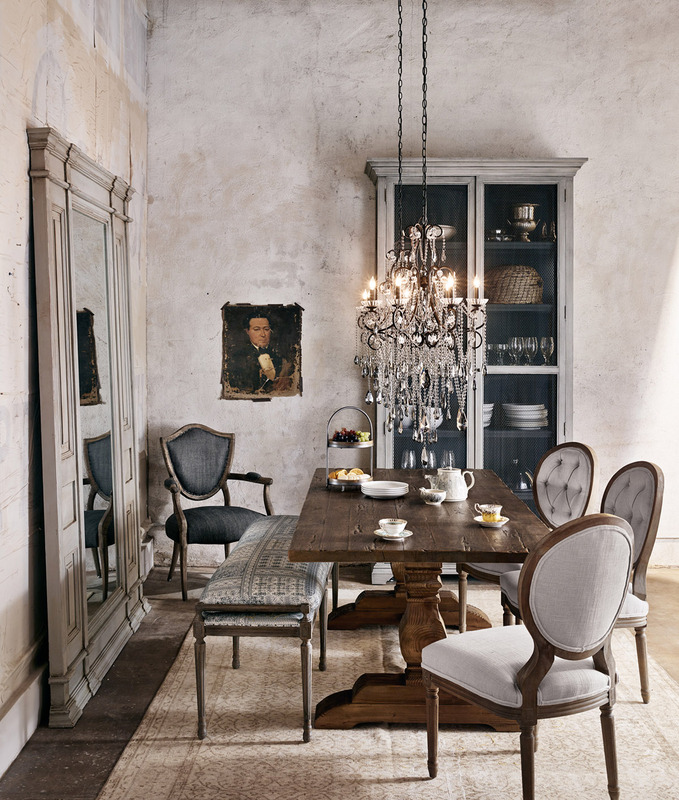 The Friday Surprise Mirror adds a savory touch while the Charlotte Chandelier pulls it all together with panache. In love yet? Four Hands is only sold in small boutique, design type furniture stores and Laurie’s is proud to offer it exclusively in this area. With the opening of the Grand Parkway, Laurie’s is just a quick zip up the road for all of our friends in Sugar Land, Katy, and Cypress. Hungry for more style? Come down to Laurie’s to check out our Four Hands collection today!